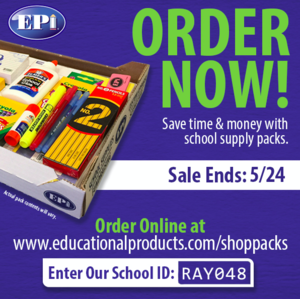 Preorder Your 2019-2020 School Supply Packs! Our school supply packs were a big hit last year! So, we brought them back. Click on the headline link for more information. and enter our school ID (RAY048). 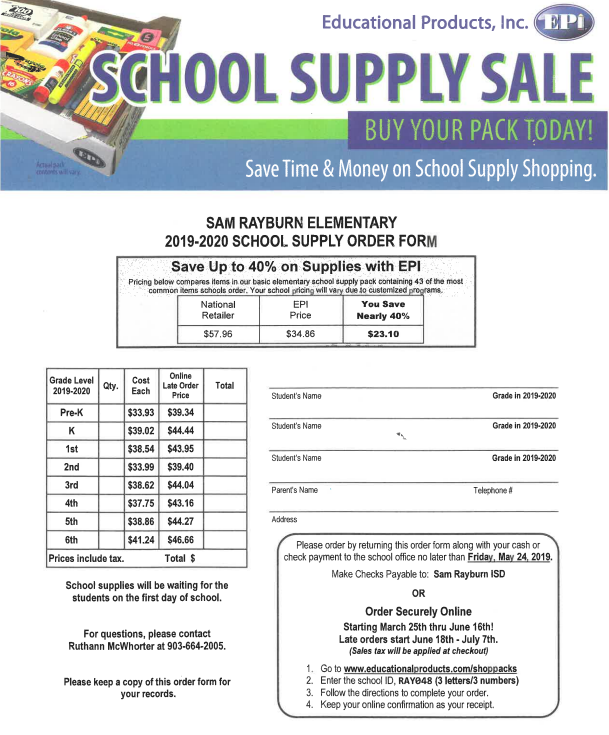 When ordering, be sure to order for the grade your child will be in next year. For cash/check payments, use the attached price guide. Forms were sent home with students and are available at the school. School supplies will arrive at the school during the summer and be waiting on your child on the first day of school.